This morning, I hopped on the scale to check my Medifast weight loss progress. If you’re new to my blog, I’ve been on the Medifast weight loss plan for 3 weeks now, and I’ve been tracking my physical and emotional changes each week! I really FELT like I lost some weight this week, but I wasn’t certain. I’ve been let down by the numbers on the scale before, so I really wasn’t sure what I would see today. 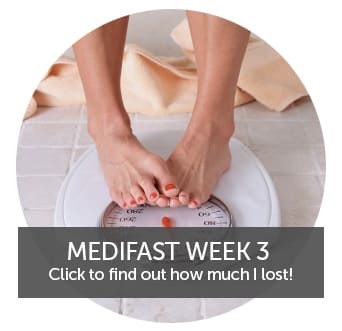 To find out how much I lost with Medifast this week, click the image above, or click here. Woo hoo! That means I’ve lost 14.2 lbs. since starting Medifast 3 weeks ago! Total lost so far: 14.2 lbs. This week I can DEFINITELY notice that a lot of the bulk in my stomach has melted away. I can wear pants that I couldn’t even zip 3 weeks ago, and when I stand sideways and look in the mirror I swear there must be at least 2-3 inches of a fat belly that are gone. I also look thinner in my upper arms/shoulder area. It’s so amazing what losing just a few lbs. can do for your appearance. So, in my week 3 Medifast results post, I told you that I was suffering from some pretty serious fatigue. I’m happy to say that within the past few day, I seem to have crossed that hurdle. I feel much, much more energetic this week. My biggest issue this week has been cravings. Intense cravings for sweet foods. 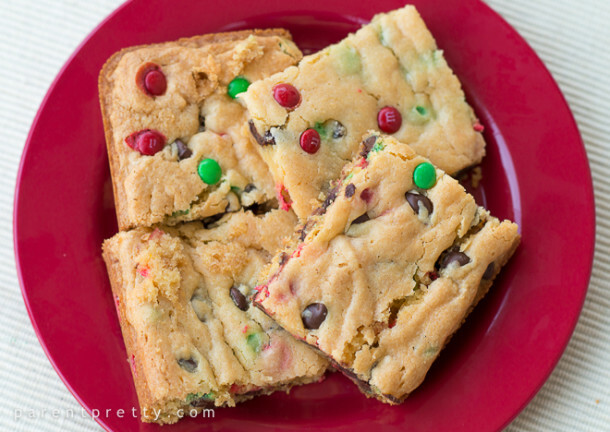 I mean, I made Cake Mix Cookie Bars over the weekend, and… UGH. I wanted one SO BAD. SO, SO BAD. Cake Mix Cookie Bars are definitely NOT part of the Medifast 5 & 1 Plan, just in case you were wondering. It literally nearly killed me not to eat one. I am actually shocked by how much I obsessed about eating foods that were not in the plan this week. I’m already starting to fixate my thoughts on Christmas Eve and Christmas Day food temptations. I’ve held out so long, that I might make the choice to indulge just a little on Christmas Eve. I feel guilty basically telling you that I intend to make a poor choice, but yeah, I don’t necessarily want to drink a Medifast Shake on Christmas Eve while my entire family raves over how delicious the food is. The other problem that I’ve encountered this week is meal skipping. It’s important to eat all of your Medifast meals and your Lean & Green Meal every day to keep your metabolism up, and of course, to nourish your body. I’ve been really busy this week and have forgotten to take my Medifast meals with me a few times. I really just need to keep some of them in the car for times when I forget. Wow you’re brave to start around Christmas time. I am starting tomorrow (the day after Xmas) and I am already scared for the new year haha. Right now I am your starting weight and hope to lose 20 pounds by my wedding in March :) I look forward to following along with you! Wow! Congrats on the amazing progress. As for “Christmas Eve” we do our dinner Christmas Day and I literally plan on doing the same thing. I’m making that decision ahead of time because I think making a conscious decision is easier emotionally then just feeling like you cheated without thinking. That’s awesome! You got this. Woohoo! 14lbs is awesome!! 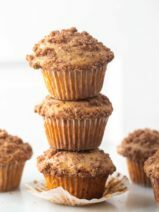 And funny that you mentioned baking, I was wondering with all your food posts and whatnot how you were hanging in there. Way to go! Congrats, Crissy!! So happy for you! ok, you convinced me – this I NEED!!!! 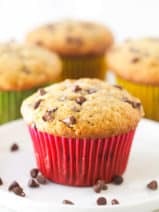 Crissy- Have you tried the ON PLAN chocolate chip soft bake or brownie? 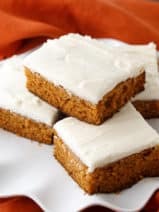 Try not baking them, and instead putting them in the freezer for 20 minutes and then squirting a squirt of LITE whipped cream (5 cal per 2 tablespoons). WHAT A TREAT! 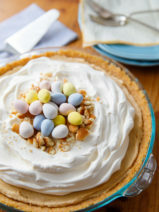 It will curb your desire for the other baked goods around the house….With the whipped cream it is a taste sensation. Once you start with the “other” stuff, you will only want MORE, so choose wisely with intent. That being said, if you choose to go off plan on the holiday itself, just jump back on the path the following day. No Problem! That is wonderful Crissy. Thank you for sharing your progress with us. Congrats on all your weight loss! I think that you are doing so well on your weight loss! Merry Christmas!